This unique t-shirt design goes great with Black Widow bowling gear! 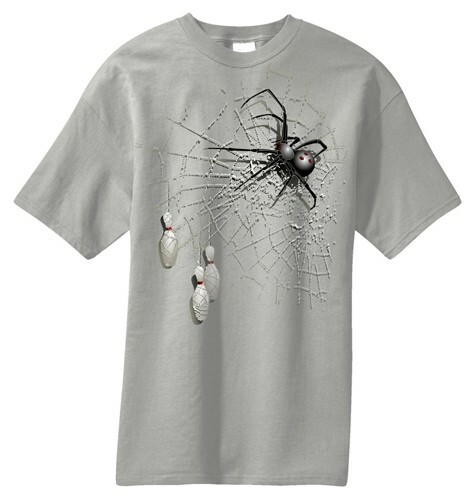 Due to the time it takes to produce the Exclusive bowling.com Spider T-Shirt ball it will ship in immediately. We cannot ship this ball outside the United States.